A new exhibit at the Museum of International Folk Art, in Santa Fe, displays Judith Espinar's sweeping collection. 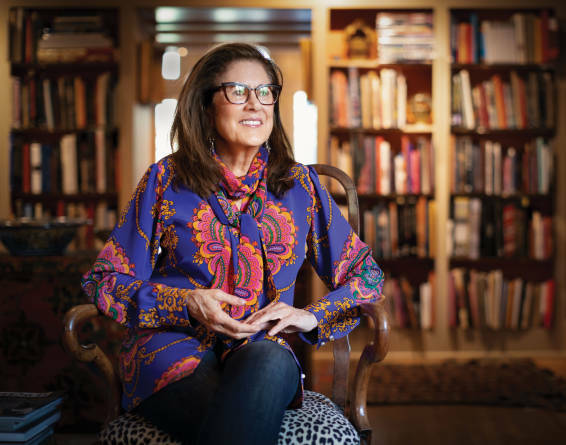 Above: Judith Espinar in her Santa Fe home. Photographs by Bill Stengel. The man on the other end of the phone meant business. In his native French, he declared, “Non!” Do not come to his village. A terrible flood had buried everything. The pottery you want? It was ruined. Click. Judith Espinar and her sister, Linda Champlin, stared at each other. They had meticulously mapped out this buying trip to rural France—which day, which village, which potter. Briefly, they considered other places to go, then shrugged. How bad could it be? So they went. And it was bad, really bad. Want more great stories like this delivered to your door? Subscribe to our magazine today. Above: Espinar mixes ceramics from around the world. Beyond Espinar’s renown as a fearless hunter of folk art, most especially ceramics, her crowning glory is how robustly she lives with it. The walls of her adobe home are painted in deep ochre, teal, and yellow—tones that complement the spoils of buying trips to nearly every continent. (“I never made it to Australia,” she says ruefully.) Pieces hang on walls, perch on shelves, line the floors. In every room. In every hallway. She sits on them, drinks from them, wraps her shoulders in them. Case in point: Any time she thinks of hosting a dinner party, Espinar starts by picking out serving pieces from a variety of international makers. Then she thinks about what to serve. “Everything’s about the plates,” she says. As part of its goal to encourage visitors to collect their own usable art, the museum plans to include five table settings within Gathering of Voices. Different designers, including Espinar, will offer video tips for re-creating each one. Espinar developed her eye for design during a 30-year career in the New York fashion industry, during which she traveled the world seeking out fabrics and learning to divine the intricacies of patterns printed onto them or woven into them. Imperfections in their repetition could reveal a sloppy motif or an inspired hand. She spotted the difference at a glance, a skill she soon applied to ceramics. “Everyone says Judy can look through 1,200 plates and find the right ones,” Villela says. Read more: After Her Husband Was Diagnosed With Cancer, This Artist Decided She&apos;d Help Find A Cure. As she began tacking vacation days onto work trips to explore local crafts, she strengthened her knowledge through the collections at the 65-year-old Museum of International Folk Art. Eventually, she moved to Santa Fe, where she and Champlin opened the Clay Angel, a sorely missed shop that, in its time, carried ceramics and textiles from around the world. In 2004, Espinar co-founded the International Folk Art Market, which has since grown into one of Santa Fe’s largest art gatherings, one that both preserves traditional crafts and encourages innovations within them. She buys most of her pieces from living artists in order to support them and their communities. But it’s hard to imagine where even a Turkish demitasse might fit in her cacophony of clay chickens, wooden saints, and a fish candleholder by Mexican master potter Herón Martínez Mendoza that bears dripping-wax proof of recent use. When pressed, Espinar reluctantly admits to renting a few off-site storage units as well. She promises that her collecting days have slowed, but she still advises others on how to find things they will love, especially items that will improve their makers’ lives. These events present opportunities to meet artists, learn about their traditions, and add to your collection. Winter Spanish Market, December 1–2, National Hispanic Cultural Center, in Albuquerque (spanishcolonial.org). Winter Indian Market, December 15–16, La Fonda on the Plaza, in Santa Fe (swaia.org). Folk Art Flea Market, June 8, 2019, Museum of International Folk Art, in Santa Fe. 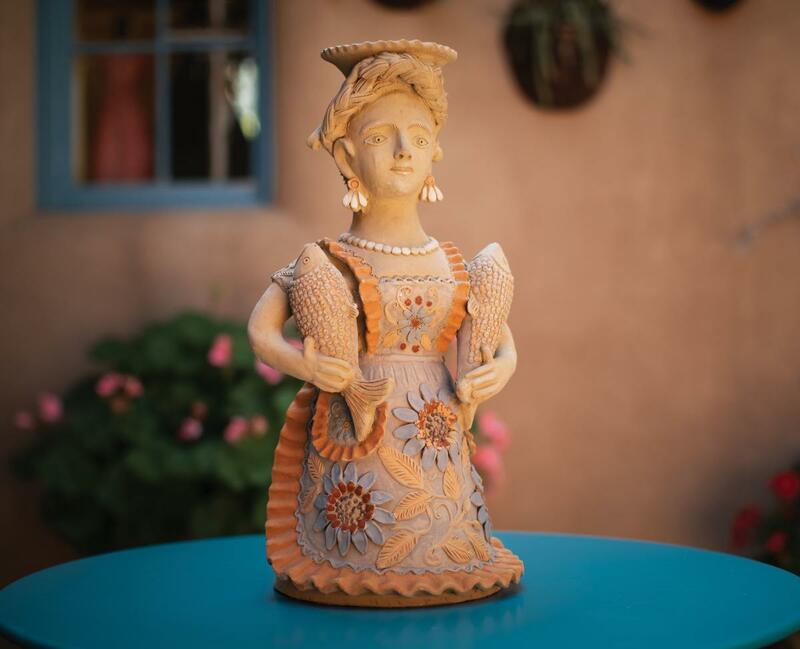 International Folk Art Market, July 13–14, 2019, Museum Hill, Santa Fe (folkartmarket.org). Traditional Spanish Market, July 27–28, 2019, Santa Fe Plaza (spanishcolonial.org). Indian Market, August 17–18, 2019, Santa Fe Plaza (swaia.org). A Gathering of Voices: Folk Art from the Judith Espinar and Tom Dillenberg Collection, December 16–August 25, 2019, Museum of International Folk Art, in Santa Fe. Take time to visit the museum’s two gift shops for authentic artwork from around the world. 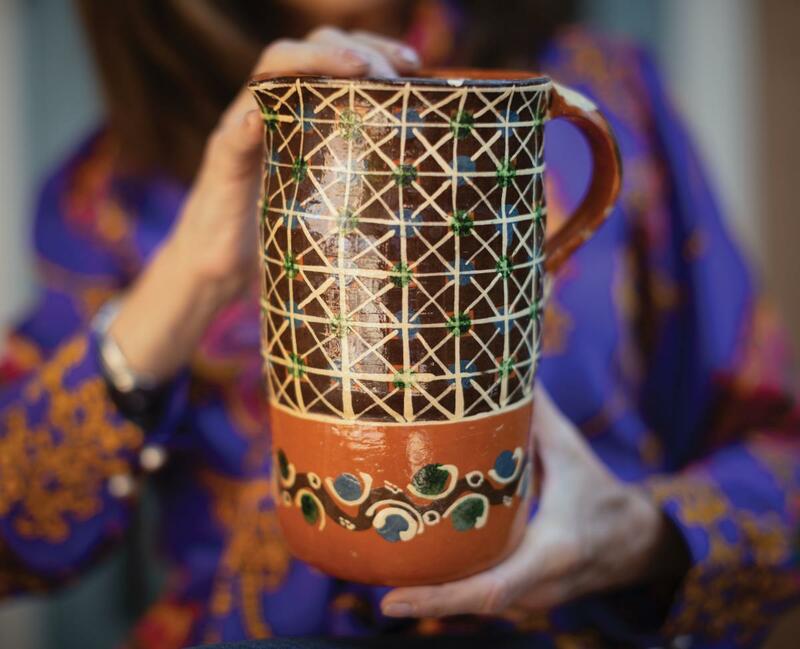 We asked Judith Espinar to share some pro tips on collecting folk art.